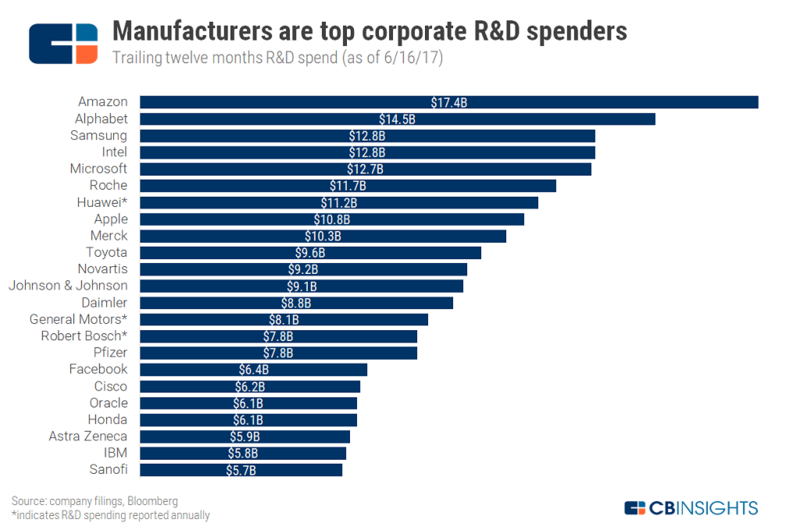 Notably, chip manufacturers like Intel and Samsung are among the largest R&D spenders in the world. As semiconductors get ever-smaller, working at nanoscale requires precision beyond human ability, making robotics the preferred option. One company working in chemistry and materials science is Citrine Informatics(below, left). Citrine runs AI on its massive materials database, and claims it helps organizations hit R&D and manufacturing milestones 50% of the time. Similarly, Deepchem (right) develops a Python library for applying deep learning to chemistry. Already, startups developing or commercializing complex materials are taking off in the 3D printing world. Companies like MarkForged employ carbon fiber composites, where others like BMF are developing composites with rare nanostructures and exotic physical properties. Certainly, manufacturers of the future will be relying on intelligent software to make their R&D discoveries. Once a product design is finalized, the next step is planning how it will be made at production scale. Typically, this requires gathering a web of parts suppliers, basic materials makers, and contract manufacturers to fulfill a large-scale build of the product. But finding suppliers and gaining trust is a difficult and time-consuming process. The vacuum maker Dyson, for example, took up to two years to find suppliers for its new push into the auto industry: “Whether you’re a Dyson or a Toyota it takes 18 months to tool for headlights,” a worker on their project reported. In 2018, assembly lines are so lean they’re integrating a nearly real-time inflow of parts and assembling them as fast as they arrive. Honda’s UK-based assembly factory, for example, only keeps one hour’s worth of parts ready to go. After Brexit, the company reported longer holdups for incoming parts at the border, and said that each 15 minute delay translates to £850,000 per year. We looked at how technology is improving this complicated sourcing process. Decentralized manufacturing may be one impending change that helps manufacturers handle demand for parts orders. Distributed or decentralized manufacturing employs a network of geographically dispersed facilities that are coordinated with IT. Parts orders, especially for making medium- or small-run items like 3D printed parts, can be fulfilled at scale using distributed manufacturing platforms. Companies like Xometry and Maketime offer on-demand additive manufacturing and CNC-milling (a subtractive method that carves an object out of a block), fulfilling parts orders across its networks of workshops. Xometry’s site allows users to simply upload a 3D file and get quotes on milling, 3D printing, or even injection molding for parts. 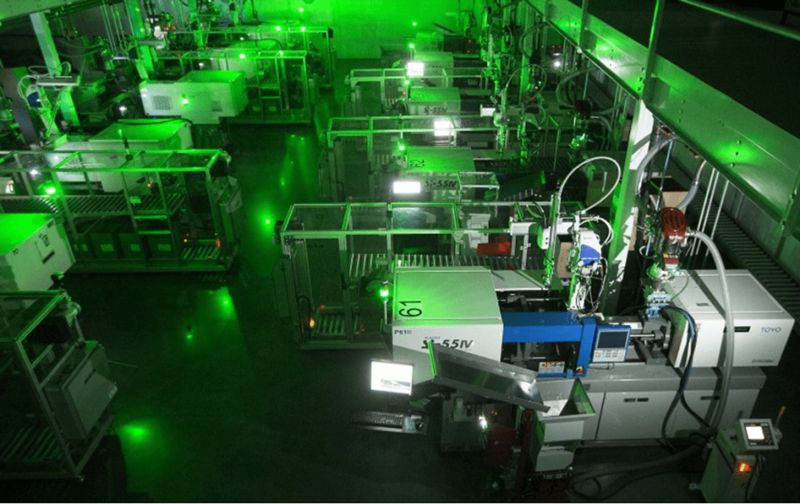 Right now, the company allows up to 10,000 injection-molded parts to be ordered on-demand, so it can handle builds done by larger manufacturers. Xometry isn’t alone in offering printing services: UPS is also embracing the movement, offering services for 3D printed plastic parts like nozzles and brackets in 60 locations and using its logistics network to deliver orders globally. As mass-customization takes off, so could the reliance on decentralized network of parts suppliers. Enterprise resource planning (ERP) software tracks resource allocation from raw material procurement all the way through customer relationship management (CRM). Yet a manufacturing business can have so many disparate ERP systems and siloed data that, ironically, the ERP “stack” (which is intended to simplify things) can itself become a tangled mess of cobbled-together software. In fact, a recent PwC report found that many large industrial manufacturers have as many as 100 different ERP systems. Blockchain and distributed ledger technologies (DLT) projects aim to unite data from a company’s various processes and stakeholders into a universal data structure. Many corporate giants are piloting blockchain projects, often specifically aiming to reduce the complexity and disparities of their siloed databases. Last year, for example, British Airways tested blockchain technology to maintain a unified database of information on flights and stop conflicting flight information from appearing at gates, on airport monitors, at airline websites, and in customer apps. When it comes to keeping track of the sourcing of parts and raw materials, blockchain can manage the disparate inflows to a factory. With blockchain, as products change hands across a supply chain from manufacture to sale, the transactions can be documented on a permanent decentralized record — reducing time delays, added costs, and human errors. Viant, a project out of the Ethereum-based startup studio Consensys, works on a number of capital-intensive areas that serve manufacturers. 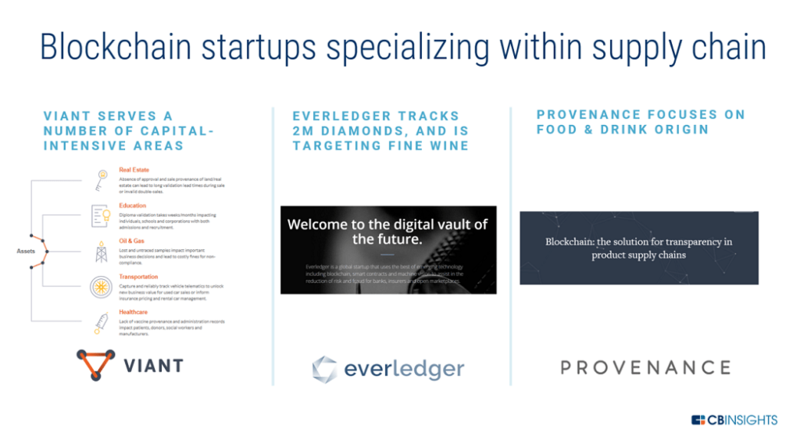 And Provenance is building a traceability system for materials and products, enabling businesses to engage consumers at the point of sale with information gathered collaboratively from suppliers all along the supply chain. 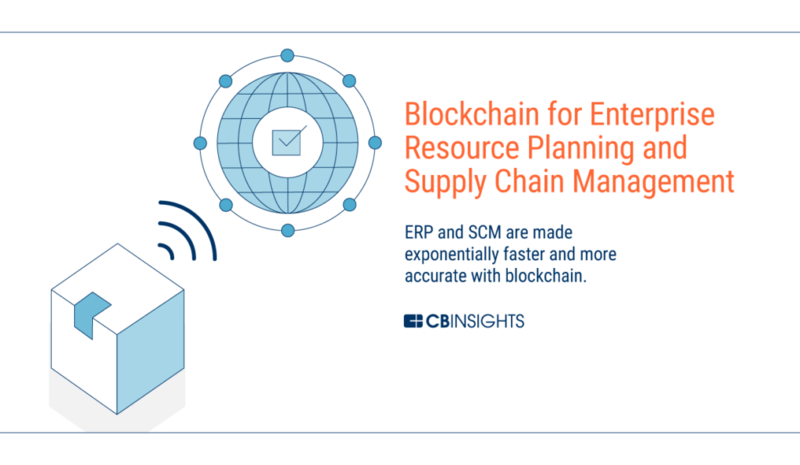 Going forward, we can expect more blockchain projects to build supply chain management (SCM) software, handle machine-to-machine (M2M) communication and payments, and promote cybersecurity by keeping a company’s data footprint smaller. Presumably, tomorrow’s manufacturing process will eventually look like one huge, self-sustaining cyber-physical organism that only intermittently requires human intervention. But across sectors, the manufacturing process has a long way to go before we get there. 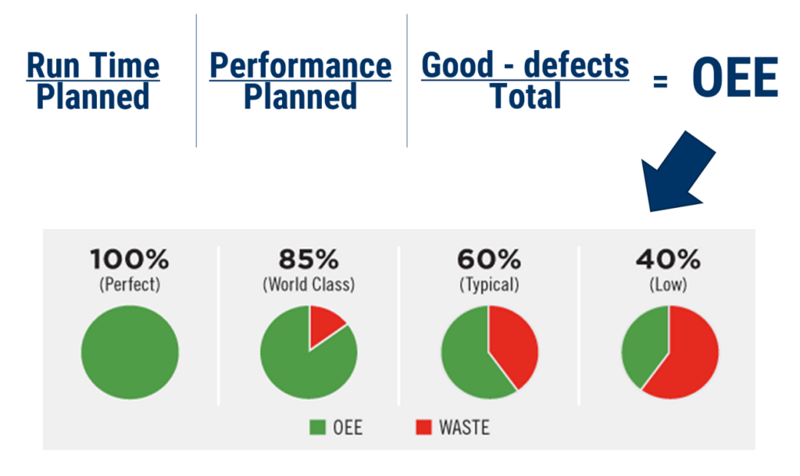 According to lean manufacturing metrics (measured by overall equipment effectiveness, or OEE), world-class manufacturing sites are working at 85% of their theoretical capacity. Yet the average factory is only at about 60%, meaning there’s vast room for improvement in terms of how activities are streamlined. Industry 4.0’s maturation over the next two decades will first require basic digitization. Initially, we’ll see a wave of machines become more digital-friendly. Later, that digitization could translate into predictive maintenance and true predictive intelligence. Large capital goods have evolved to a “power by the hour” business model that guarantees uptime. Power by the hour (or performance-based contracting) is now fairly common in the manufacturing world, especially in mission-critical areas like semiconductors, aerospace, and defense. The idea dates back to the 1960s, when jet engine manufacturers like GE Aviation, Rolls Royce, and Pratt & Whitney began selling “thrust hours,” as opposed to one-off engine sales. This allows engine makers to escape the commodity trap and to focus on high-margin maintenance and digital platforms. Nowadays, GE is incentivized to track every detail of its engine, because it only gets paid if the engine is working properly. Despite a guarantee of uptime, a machine’s owner is responsible for optimizing usage (just like airlines that buy jet engines still need to put them to good use). In short, factory owners still “own” the output risk between the chain of machines. Without digitizing every step, efficiency is being left on the table. Yet there are serious barriers for manufacturers to take on the new burden of analytics. Shop floors typically contain old machines that still have decades of production left in them. In addition to significant cost, sensors tracking temperature and vibration aren’t made with a typical machine in mind, lengthening the calibration period and efficacy. To put it simply, operational technology (or OT) is similar to traditional IT, but tailored for the “uncarpeted areas.” Where the typical IT stack includes desktops, laptops, and connectivity for knowledge work and proprietary data, OT manages the direct control or monitoring of physical devices. 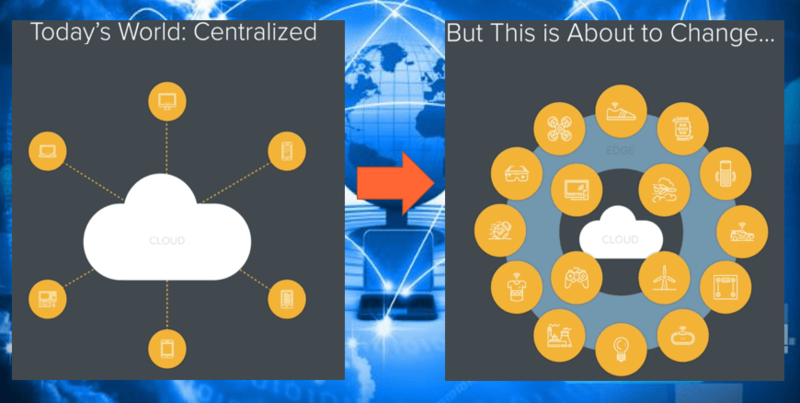 In a way, IT and OT are two sides to the same tech stack token, and as manufacturing gets better digitized, the boundaries will continue to blur. Today, the “brain” for most industrial machines is in the programmable logic controller (PLC), which are ruggedized computers. Industrial giants like Siemens, ABB, Schneider, and Rockwell Automation all offer high-priced PLCs, but these can be unnecessarily expensive for smaller manufacturing firms. This has created an opportunity for startups like Oden Technologies to bring off-the-shelf computing hardware that can plug into most machines directly, or integrate existing PLCs. This, in turn, allows small- and medium-sized businesses to be leaner and analyze their efficiency in real time. 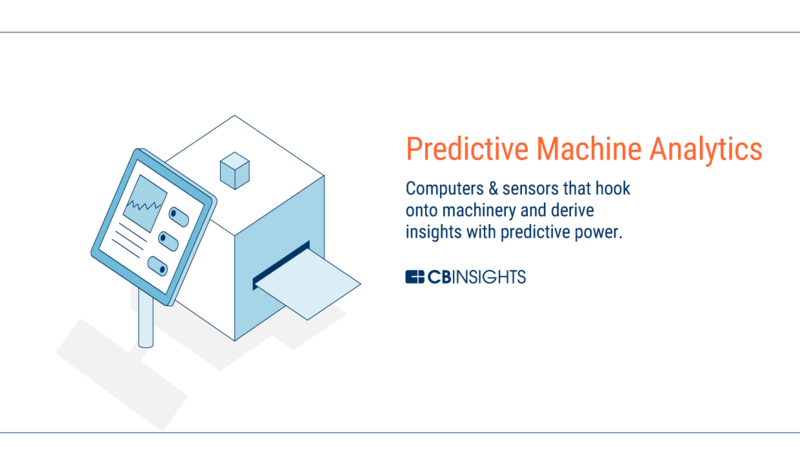 As digitization becomes ubiquitous, the next wave in tech efficiency improvements will be about predictive analytics. 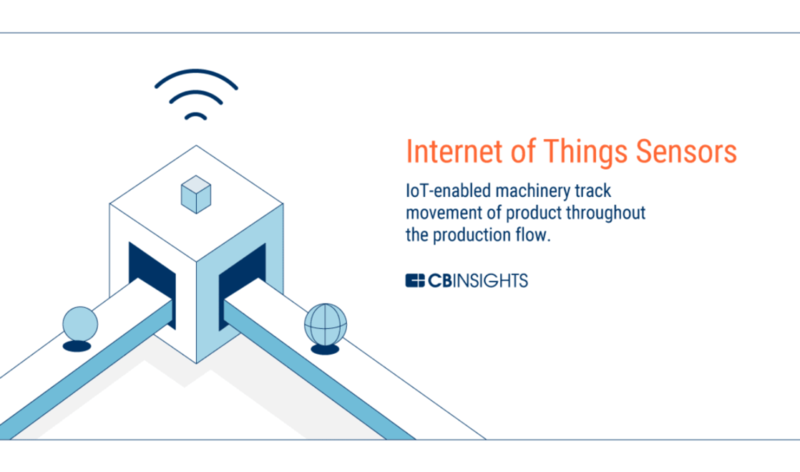 Today’s narrative around the Internet of Things has suggested that everything — every conveyor and robotic actuator — will have a sensor, but not all factory functions are of equal value. Slapping cheap IoT sensors on everything isn’t a cure-all, and it’s entirely possible that more value gets created from a smaller number of more specialized, highly accurate IoT sensors. Augury, for example, uses AI-equipped sensors to listen to machines and predict failure. 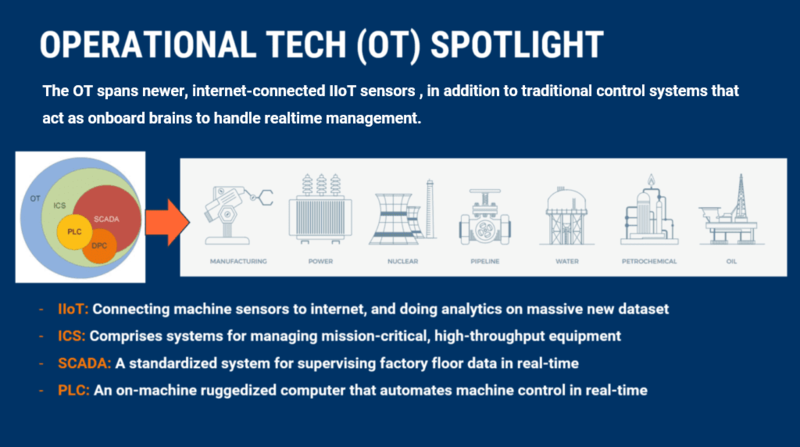 Cost-conscious factory owners will recognize that highly accurate sensors will deliver greater ROI than needless IoT. Computing done at the “edge,” or closer to the sensor, is a new trend within IIoT architecture. Drafting on innovations in AI, and smarter hardware, Peter Levine of a16z anticipates an end to cloud computing for AVs, drones, and advanced IoT objects. Connected machines in future factories should be no different. Companies like Saguna Networks specialize in edge computing (close to the point of collection), whereas a company like Foghorn Systems does fog computing (think a lower-hanging cloud that’s done on-site like a LAN). Both methods allow mission-critical devices to operate safely without the latency of transmitting all data to a cloud, a process that can save big on bandwidth. In the near future, advances in AI and hardware will allow IoT as we know it to be nearly independent of centralized clouds. This is important because in the short term, it means that rural factories don’t need to send 10,000 machine messages relaying “I’m OK,” which expends costly bandwidth and compute. Instead, they can just send anomalies to a centralized server and mostly handle the decision-making locally. Additionally, cloud computing latency has drastic downsides in manufacturing. Mission critical-systems such as connected factories can’t afford the delay of sending packets to off-site cloud databases. Cutting power to a machine split-seconds too late is the difference between avoiding and incurring physical damage. 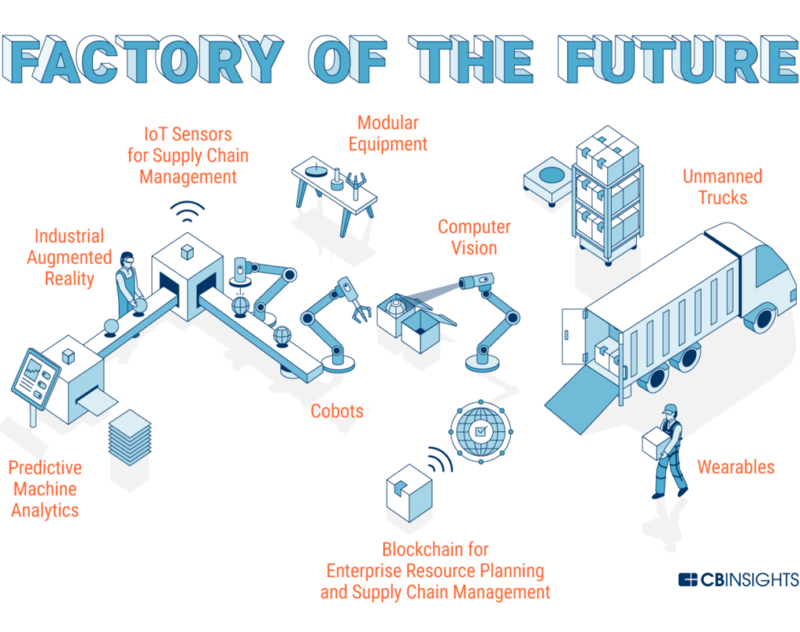 And in the longer term, edge computing lays down the rails for the autonomous factory. The AI software underpinning the edge will be the infrastructure that allows factory machines to make decisions independently. In sum, devices that leverage greater computing at the edge of the network are poised to usher in a new, decentralized wave of factory devices. One paradox of IIoT is that factories bear significant downside risk, yet are barely investing in protection: 28% of the manufacturers in a recent survey said they saw a loss of revenue due to cybersecurity attacks in the past year, but only 30% of executives said they’ll increase IT spend. Cyber attacks can be devastating to heavy industry, where cyber-physical systems can be compromised. The WannaCry ransomware attack caused shutdowns at the Renault-Nissan auto plants in Europe. And in 2014, a sophisticated cyber attack resulted in physical damage at a German steel plant when an outage prevented a blast furnace from being shut down correctly. Consequently, critical infrastructure is a growing segment within cybersecurity, and many startups like Bayshore Networks are offering IoT gateways (which bridge the disparate protocols for connected sensors) to allow manufacturers across many verticals to monitor their IIoT networks. Other gateway-based security companies like Xage are even employing blockchain’s tamperproof ledgers so industrial sensors can share data securely. 28% of the manufacturers in a recent survey cited a loss of revenue due to cybersecurity attacks in the past year. But only 30% of executives said they’ll increase IT spend. 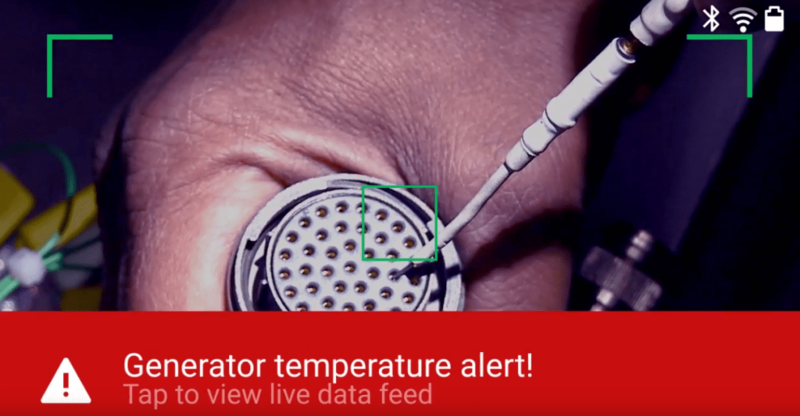 Similarly, adding connected IoT objects and Industrial Control System (ICS) sensors has opened up new vulnerabilities at the endpoint. To address this, Mocana and Rubicon Labs, among others, are developing secure communication products at the IP and device level. Additionally, several of the most active enterprise cybersecurity investors are corporates with interests in OT computing. 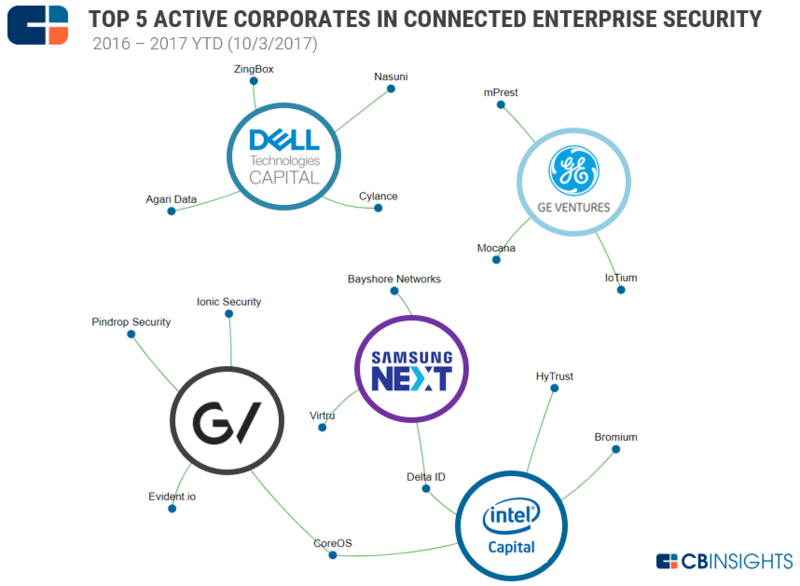 The venture arms of Dell (which makes industrial IoT gateways), as well as Google, GE, Samsung, and Intel are among the most active in this space. Managing the ICS and IIoT systems securely will continue to be a critical area for investment, especially as hack after hack proves OT’s vulnerability. In a recent write-up about furniture maker Steelcase’s production line, humans were described as being solely present to guide automation technology. Steelcase’s “vision tables,” which are computerized workstations that dictate step-by-step instructions, eliminate human error in assembling furniture. Using sound cues and overhead scanners to track assembly, the system won’t let workers proceed if a step is done incorrectly. Scanners also allow off-site operations engineers to analyze progress in real time. But better digitization and cyber-physical technologies are all augmenting the efficiency and manpower available to the workers. Here’s how emerging technology like augmented reality (AR), wearables, and exosuits are fitting in. Augmented reality will be able to boost the skills of industrial worker. 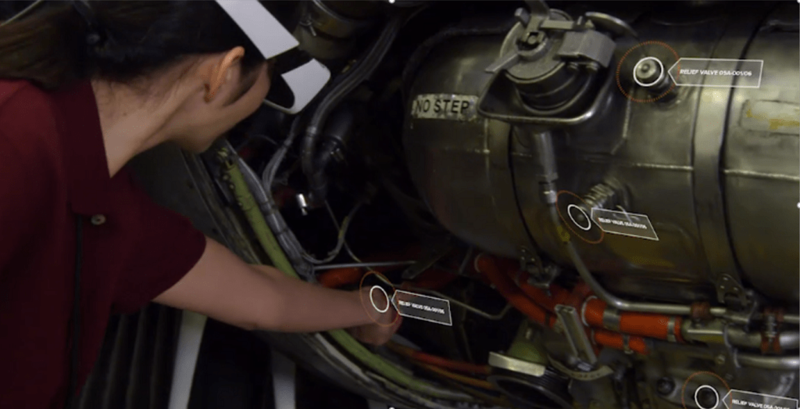 In addition to being a hands-free “browser” that can communicate factory performance indicators and assign work, AR can analyze complicated machine environments and use computer vision to map out a machine’s parts, like a real-time visual manual. This makes highly skilled labor like field service a “downloadable” skill (in a manner not unlike The Matrix). 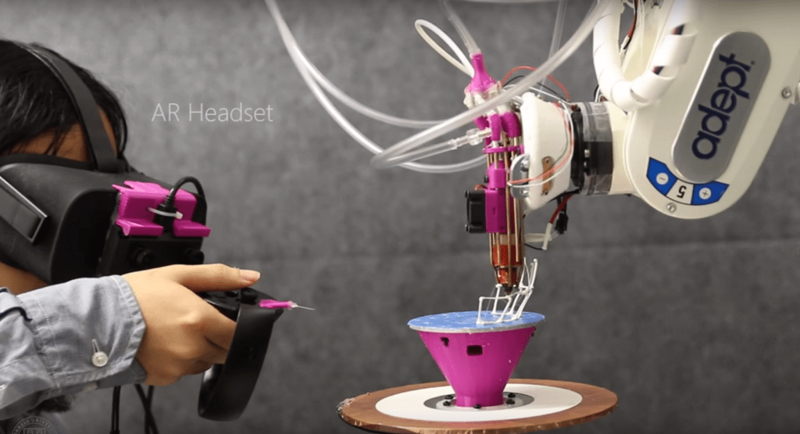 Daqri and Atheer are well-funded headset makers that focus on industrial settings. Upskill‘s Skylight platform (below) makes AR for the industrial workforce using Google Glass, Vuzix, ODG, and Realwear headsets. The company raised nearly $50M from the corporate venture arms of Boeing and GE, among other investors. Many AR makers envision the tech working like a handsfree “internet browser” that allows workers to see real-time stats of relevant information. Realwear‘s wearable display doesn’t aspire to true augmented reality like a Daqri headset, but even a small display in the corner of the eye is fairly robust. 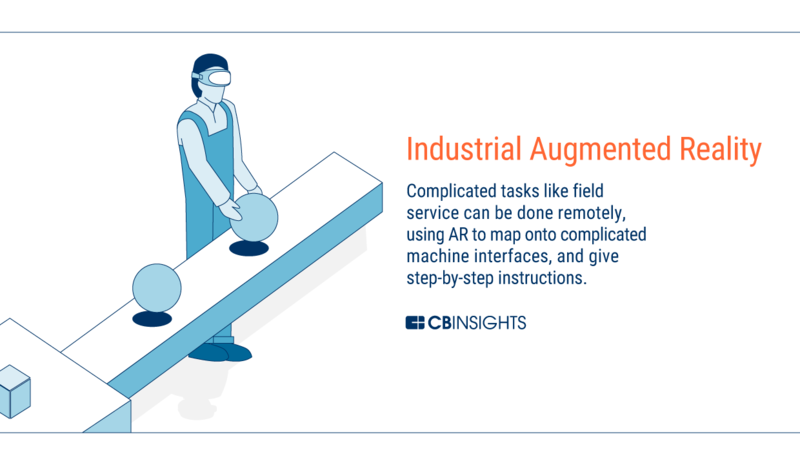 Others like Scope AR do similar work in field service using mobile and iPad cameras, employing AR to highlight parts on industrial equipment and connecting to support experts in real time. This saves on the travel costs of flying out people to repair broken equipment. Parsable, which works with mobile phones, is a workflow platform that gives out tasks and digitizes data collection, something that is often done with pencil and paper in industrial environments. As the maxim goes, “what gets measured gets managed,” and in an area where robots are a constant competitive pressure, manufacturing organizations will invest in technologies that digitize human efforts down to each movement. Exoskeleton technology is finally becoming a reality on factory floors, which could drastically reduce the physical toll of repetitive work. Startups here are making wearable high-tech gear that bear the load alongside a worker’s limbs and back. 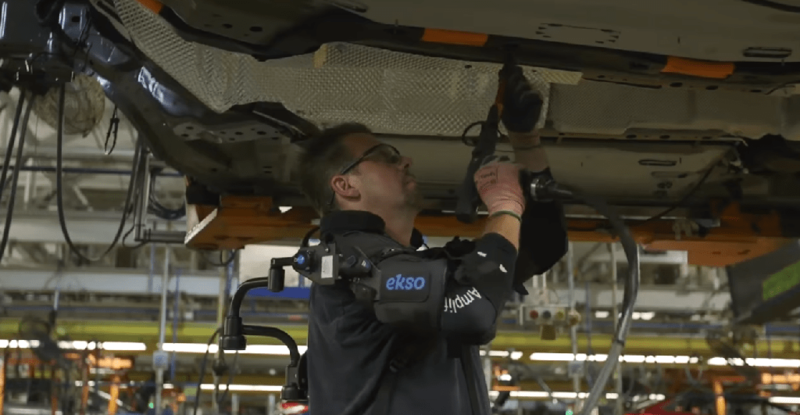 Ekso Bionics, seen below, is piloting its EksoVest suit at Ford Motor Company’s Michigan assembly plants, and workers using the suit have reported less neck stress in their daily demands. The EksoVest reduces wear from repetitive motion and, unlike some competing products, provides lift assistance without batteries or robotics. Ekso’s CTO has said the long-term strategy is to get workers accustomed to the technology before eventually moving into powered exoskeletons. Sarcos is another well-known exosuit maker, which has raised from corporates including Schlumberger, Caterpillar, and Microsoft and GE’s venture arms. Sarcos is more strictly focused on remote controlled robotics and powered exoskeletons, which can lift 200 lbs repeatedly. Delta Airlines recently said it would join Sarcos’ Technical Advisory Group to pilot the technology. In similar territory is Strong Arm Technologies, which makes posture-measuring and lift-assisting wearables. Strong Arm touts predictive power to intervene before risk of injury or incident, and is positioned as a labor-focused risk management platform. 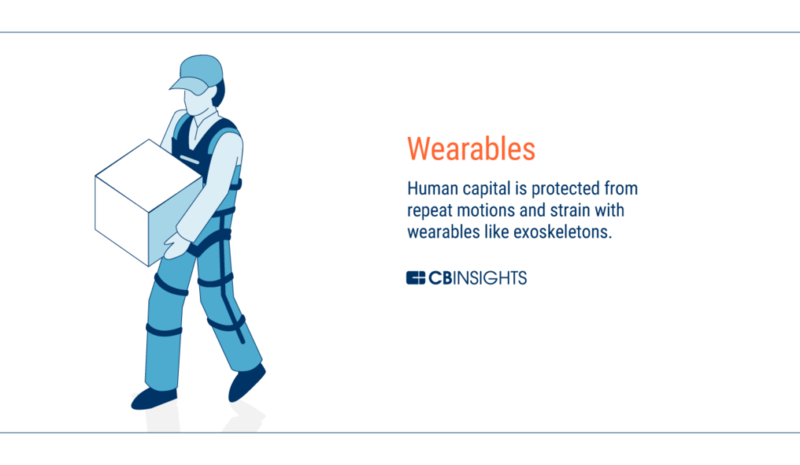 Where humans are still needed for some dirty and dangerous tasks, wearables and exoskeletons will augment human’s ability to do work while also promoting safety. Automation is coming for dirty, dull, and dangerous jobs first. Already, many human jobs within the mass-production assembly line have been crowded out by automation. Cyber-physical systems like industrial robotics and 3D printing are increasingly common in the modern factory. Robots have gotten cheaper, more accurate, safer, and more prevalent alongside humans. Consumer tastes have also broadened, and manufacturers are trying to keep up with increasing demands for customization and variety. Visions for Industry 4.0 involve a completely intelligent factory where networked machines and products communicate through IoT technology, and not only prototype and assemble a specific series of products, but also iterate on those products based on consumer feedback and predictive information. Before we reach a world where humans are largely uninvolved with manufacturing, modular design can help existing factories become more flexible. Modularity allows the factory to be more streamlined for customization, as opposed to the uniformity that’s traditional for the assembly line. Modularity could come in the form of smaller parts, or modules, that go into a more customizable product. Or it could be equipment, such as swappable end-effectors on robots and machines, allowing for a greater variety of machining. Presently, mass-production is already refashioning itself to handle consumer demand for greater customization and variety. 90% of auto makers in a BCG survey said they expect a modular line setup will be relevant in final assembly by 2030. Modular equipment will allow more models to come off the same lines. 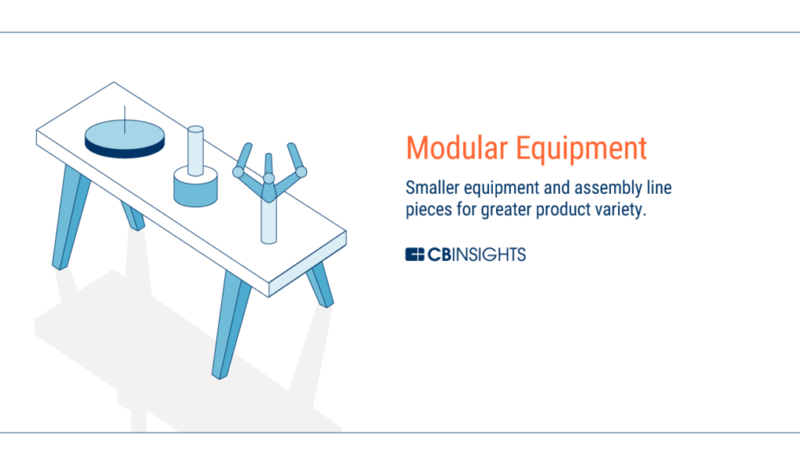 Startups are capitalizing on the push toward modular parts. Seed-stage company Vention makes custom industrial equipment on-demand. Choosing from Vention’s modular parts, all a firm needs to do is upload a CAD design of the equipment they want, and then wait 3 days to be sent specialized tooling or robot equipment. 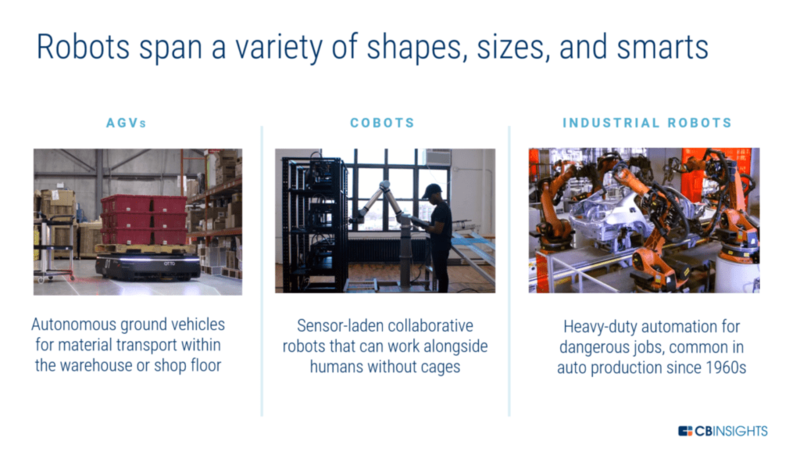 Many existing factories have odd jobs that can be done by a simple cobot (collaborative robot) arm or custom machine, and these solutions will gain momentum as factories everywhere search for ways to improve efficiency. Modular production will impact any sector offering increased product customization. Personalized medicine, for example, is driving demand for smaller and more targeted batches. In pharmaceutical manufacturing, modularity allows processors to produce a variety of products, with faster changeovers. But the latest wave of robotics seems to be augmenting what a human worker can accomplish. Cobots (collaborative robots) are programmable through assisted movement. They “learn” by first being moved manually and then copying the movement moving forward. These robots are considered collaborative because they can work alongside humans. Whether these are truly collaborative or rendering human labor redundant remains to be seen. After a Nissan plant in Tennessee added autonomous guided vehicles, no material handlers were laid off with the increased productivity. European aircraft manufacturer Airbus also uses a mobile robot, which works alongside humans to drill thousands of holes into passenger jets. While even the best robots still have limitations, economists fear that automation will eventually lead to a drastic restructuring of labor. Due to rising labor costs worldwide, robotics are presently causing a new wave of re-shoring — the return of manufacturing to the United States. In a 2015 survey by BCG, 24% of US-based manufacturers surveyed said that they were actively shifting production back to the US from China, or were planning to do so over the next two years — up from only 10% in 2012. The majority said lower automation costs have made the US more competitive. Robotics have become invaluable for monotonous jobs such as packaging, sorting, lifting repeatedly. Cobot manufacturer Universal Robots says some of its robot arms pay for themselves in 195 days on average. 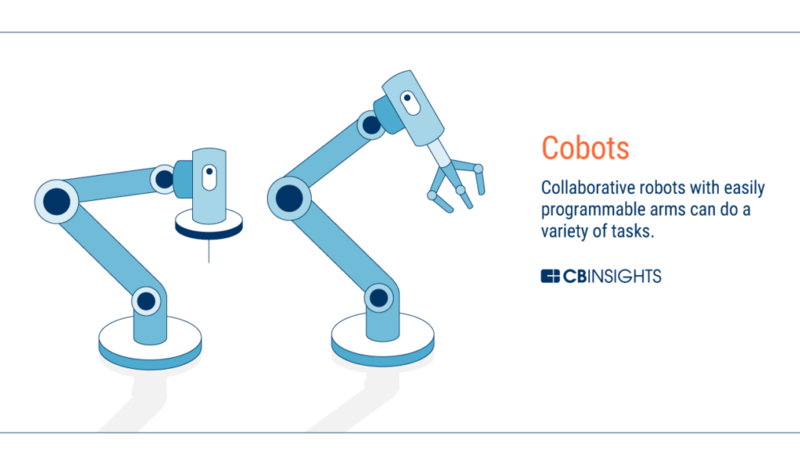 As a whole, the category of collaborative robots are priced on average at $24,000 apiece. We’ve previously identified more than 80 robotics startups, but for heavy-duty machining, significant market share is taken by big industrials players like ABB, Mitsubishi, Fanuc, and Yaskawa. In the near term, the reprogrammable nature of cobots will allow manufacturing firms to become more customized and work in parallel with existing equipment and employees. On a longer time horizon, however, robotics will be the engine for moving towards “lights-out” manufacturing. 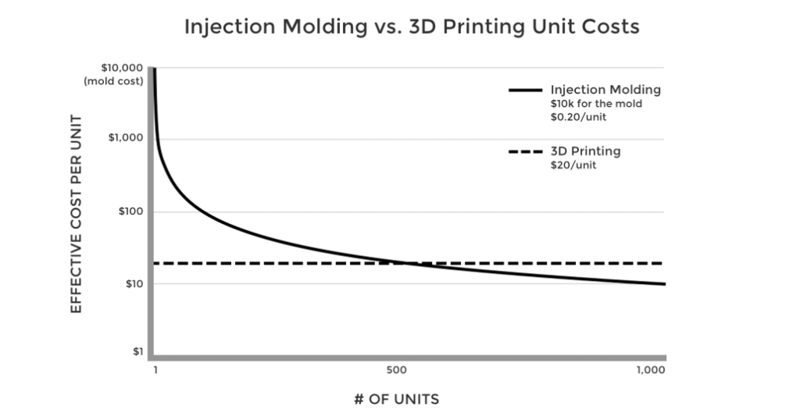 For certain mass-produced items, 3D printing will never beat the economies of scale seen in injection molding. But for smaller runs, fulfillment using additive manufacturing will make sense. Using metal additive manufacturing for one-third of components, GE made an engine that burns 15% less fuel than previous designs. GE says it will begin testing the Cessna Denali engine for potential flight tests in 2018. 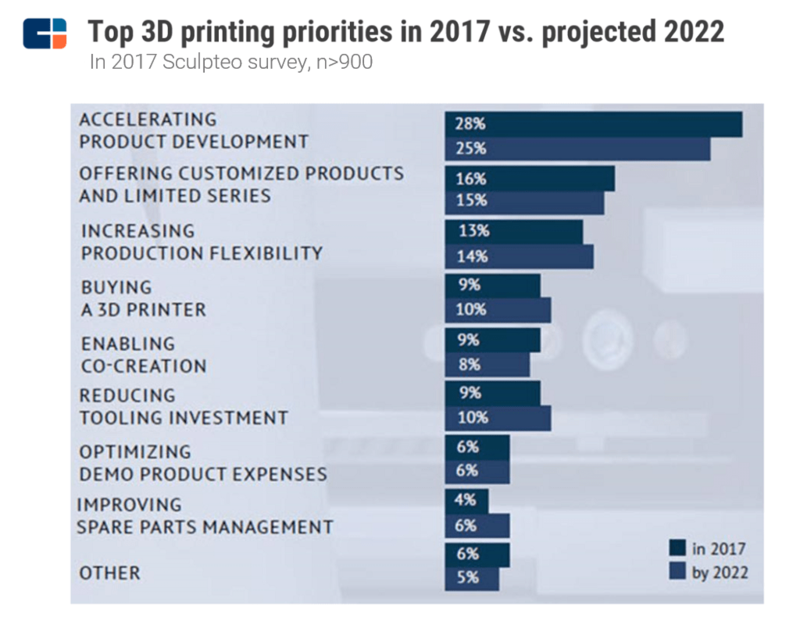 Manufacturers will increasingly turn to 3D printing as mass-customization takes off within certain consumer products. Shoes have become one popular use case to watch. For example, Adidas has partnered with Carbon to mass-print custom athletic shoes. 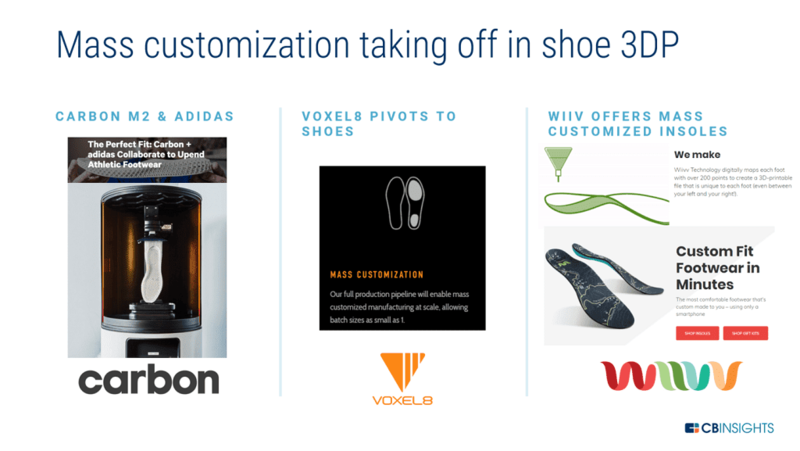 Additionally, other 3D printing services companies like Voxel8 and Wiiv have positioned themselves specifically for the shoe use case. Just a few years from now, it may be more commonplace to see mass-customized parts in consumer electronics, apparel, and other accessories — all brought to you by 3D printing. Additionally, if rocket-printing startup Relativity Space is any indication, the technology will also be applied to building large-scale industrial print jobs. Industrial 3D printing is the hottest segment within the broader space, and many startups are aiming to deliver advanced materials that include carbon fiber or other metals with exotic properties. As the factory gets digitized, quality assurance will become increasingly embedded in the organization’s codebase. Machine learning-powered data platforms like Fero, Sight Machine, and Uptake, among a host of others, will be able codify lean manufacturing principles into systems’ inner workings. 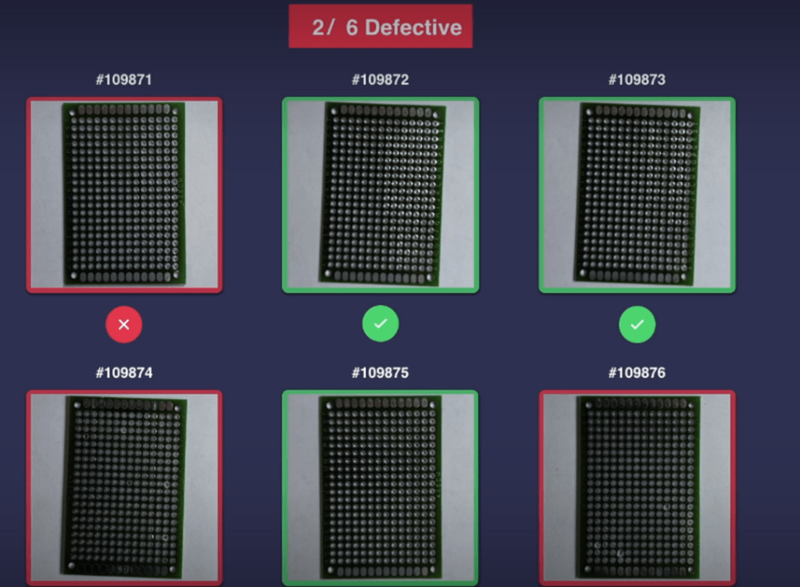 Computer vision and blockchain technologies are already on the scene, and offer some compelling alternative methods for tracking quality. In mass production, checking whether every product is to specification is a very dull job that is limited by human fallibility. In contrast, future factories will employ machine vision to scan for imperfections that the human eye might miss. Many imperfections in electronics aren’t even visible to the human eye. Being able to instantaneously identify and categorize flaws will automate quality control, making factories more adaptive. In August 2017, Walmart, Kroger, Nestle, and Unilever, among others, partnered with IBM to use blockchain to improve food safety through enhanced supply chain tracking. Walmart has been working with IBM since 2016, and said that blockchain technology helped reduce the time required to track mango shipments from 7 days to 2.2 seconds. With 9 other big food suppliers joining the IBM project, the food industry — where collaboration is rare — could also be better aligned for safety recalls. Similarly, factories employing blockchains or distributed ledgers could be better positioned in the event of recall. In factories where food or automobiles are processed, a single system for managing recalls could more swiftly figure out the origin of faulty parts or contaminated batches, possibly saving lives and money. Lights-out warehouses may come even faster than lights-out factories. With the rise of e-commerce, demand for warehouse space has exploded. Last year, the average warehouse ceiling height is up 21% compared to 2001, and spending for new warehouse construction hit a peak in October 2017, with $2.3B spent on construction in that month alone. Amazon’s historic $775M acquisition of Kiva Systems is said to have set off an arms race among robotics makers. Riding the e-commerce wave and the industry-wide pressure to deliver orders on time, we’ve witnessed an explosion of robotics startups focused on making fulfillment more efficient. Lately, other Kiva-like companies, including Fetch Robotics and GreyOrange, are focusing on other areas of warehouse automation, such as picking and palletizing. Some startups such as Ready Robotics and Locus have applied the classic robotic arm to package e-commerce orders, though their collaborative nature makes them suited for a number of industrial tasks. We’ve previously looked at industrial robotics companies that could be targets for large corporates. Manufacturers and hardware-focused investors will continue to hunt for the next robotics maker that’s 10x better than the status quo. And the economics of cheaper and more agile robots may mean we’ll see more robots alongside humans in the short term. As computer vision melds with enterprise resource planning, fewer people and clipboards will be needed in sorting, scanning, and spotting defects. Aquifi, for example, uses computer vision inside fixed IIoT and handheld scanners. 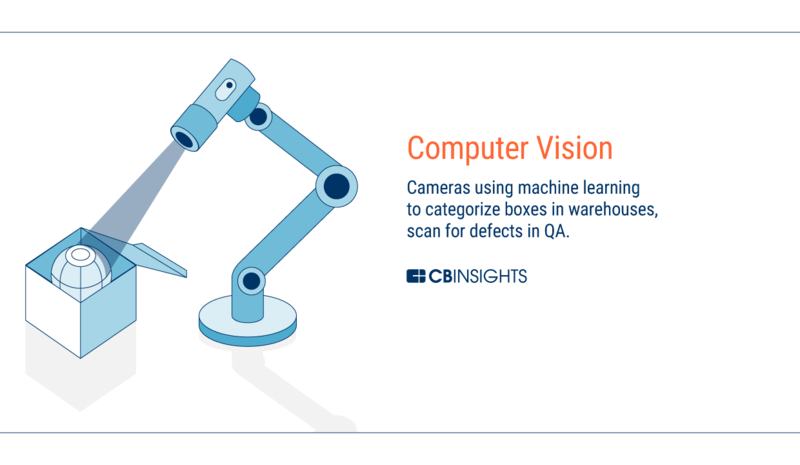 Machine vision can measure products dimensions, count the number of boxes in a pallet, and inspect the quality of boxes. Presently, this is often done with clipboards, eyeballing, and intermittent scanning. Vision will be increasingly crucial for IIoT to “abstract away” a real-time picture of what’s happening inside a warehouse. Closing the loop, so to speak, between the physical world and bits and bytes is essential to creating the autonomous warehouse. Once the product is packaged and palletized, getting it out the door efficiently is a daunting task. With thousands of SKU numbers and orders to manage, the complexity can be astounding — and enterprise resource planning (ERP) software has proliferated to handle it. But there’s still room for IoT and blockchain to get even more granular with real-time supply chains. In general, there is poor awareness about where items are in real time throughout the supply chain. The fleet telematics field saw several large exits in recent years, with Verizon acquiring both FleetMatics and Telogis. IoT and software for shipments will only grow more important as supply chains decentralize and get automated. 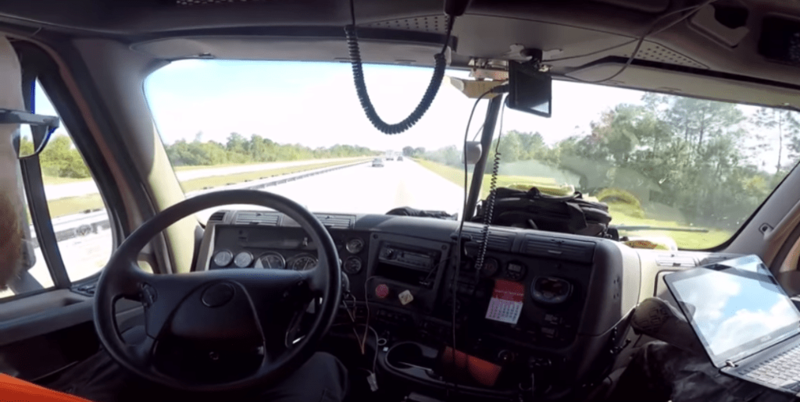 Farther out, the advent of autonomous trucks could mean that autonomous systems will deliver, depalletize, and charge upon receipt of a Bill of Lading. This will bring greener, more efficient movement, as well as more simplified accounting. 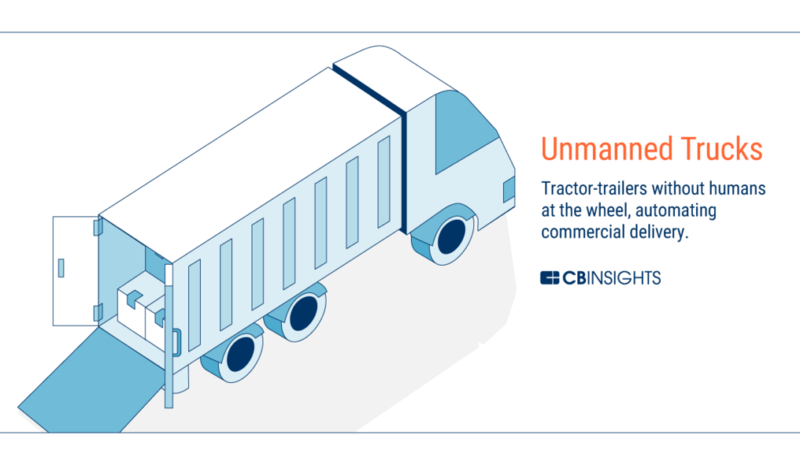 Uber and Tesla both have high-profile plans for autonomous semi-trucks, and Starsky Robotics (below) recently raised nearly $20M from Y Combinator, Sam Altman, and Data Collective, among others, specifically for long-haul trucking. As mentioned above, a number of DLT pilots and blockchain startups are trying to put supply chain management software into a distributed ledger. The willingness to explore these technologies indicates digitization here is long overdue. The highly fragmented nature of supply chains is a fitting use case for decentralized technologies and could be part of a larger trend for eliminating the inefficiencies of global commerce. Shipping giant Maersk, for example, is working on a startup with Hyperledger that will aim to help shippers, ports, customs offices, and banks in global supply chains track freight. Maersk’s goal is to replace related paperwork with tamper-resistant digital records. Meanwhile Pemex, the Mexican state-owned petroleum company, is assisting Petroteq in developing oil-specific supply chain management software. The Petroteq project — an enterprise-grade, blockchain-based platform called PetroBLOQ — will enable oil and gas companies to conduct global transactions. In the future, manufacturers will explore decentralized technologies to make their organizations more autonomous and their belongings (coming or going) more digitized in real-time. Blockchain not only has the promise of simplifying SCM, but also could make payments more frictionless. Manufacturing is become increasingly more efficient, customized, modular, and automated. But factories remain in flux. Manufacturers are known to be slow adopters of technology, and many may resist making new investments. But as digitization becomes the new standard in industry, competitive pressure will escalate the inventive to evolve. The most powerful levers manufacturers can pull will come in the form of robotics, AI, and basic IoT digitization. Richer data and smart robotics will maximize a factory’s output, while minimizing cost and defects. At the unmanned factory in Dongguan, employing robotics dropped the defect rate from 25% to less than 5%. Meanwhile, as cutting-edge categories like blockchain and AR are being piloted in industrial settings, manufacturing could eventually be taken to unprecedented levels of frictionless production and worker augmentation. In the words of Henry Ford: “If you always do what you always did, you’ll always get what you always got.” To reach its full potential, the manufacturing industry will need to continue to embrace new technology.